What makes Szechuan cuisine so special? Hot, humid climates like Szechuan province call for food that is both hot and highly spiced. But that's not the only reason. Hot foods like red chili stimulate the palate, making it more sensitive to the other flavors—sweet, sour, bitter, salty, aromatic, and fragrant—in Szechuan dishes and also cleanse the palate in preparation for the next dish. Here are our recommendations for the top 9 Szechuan recipes to try. This is the popular dish made with chicken, peanuts, and hot chiles, that is named after a generic government official or kung pao. Feel free to turn the heat up or down on this dish by adjusting the amount of chiles used. Cashews can replace the peanuts. Tofu and a bit of ground meat are dressed up with spicy seasonings in this popular dish. The name mapo doufu means "old pockmarked grandmother bean curd" in honor of the old woman who is reputed to have invented the dish. Feel free to substitute ground beef for the ground pork if desired. Unlike other Szechuan recipes, this popular soup gets its heat from white pepper (the sour comes from vinegar). Tofu adds extra protein to this warming soup that is reputed to be good for colds. This popular Szechuan dish is a staple at many Chinese restaurant buffets. Instead of chili paste, feel free to add 4 to 6 small dried red chilis if desired. 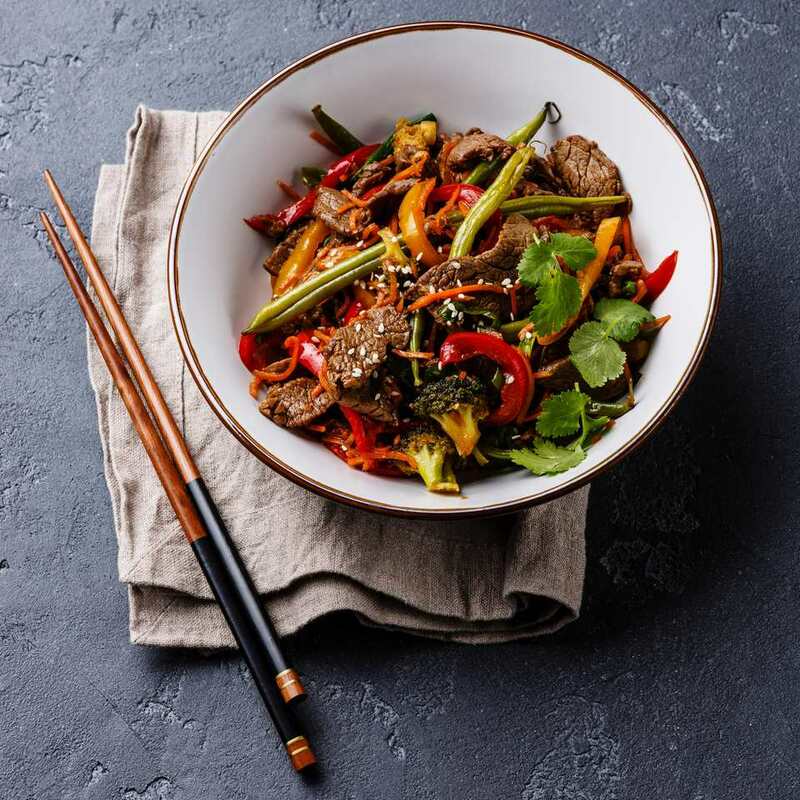 In this Szechuan dish, pork is first simmered in a broth of water, rice wine, and ginger and then stir-fried along with vegetables like leeks and red bell pepper, chili paste, sweet bean paste, and dark soy sauce. It can be served with rice or on its own. This recipe uses a technique known as "dry-frying" where the beef is fried for several minutes, making it extra chewy and crispy. The dry-fried beef is then stir-fried with Chinese spices and seasonings. Poultry and citrus are a popular combination in western China. The linking of hot chiles with Szechuan peppercorn produces the "numbing fire" that gives the cuisine its fiery reputation. 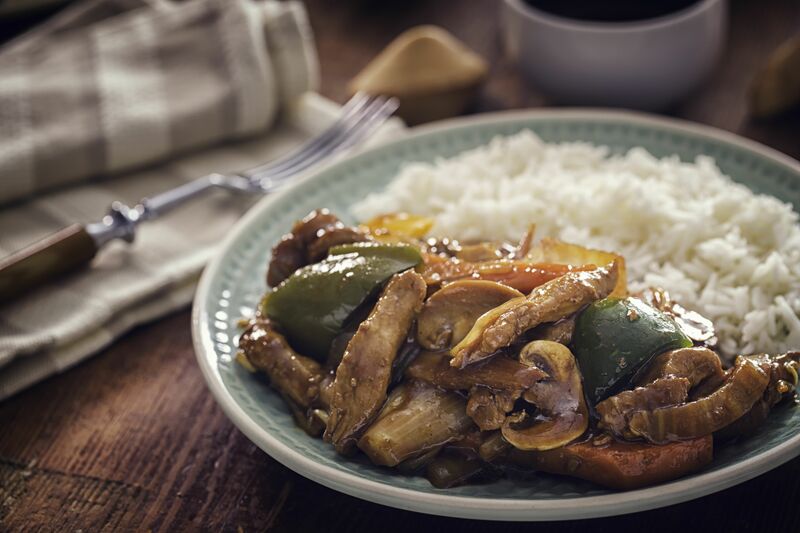 Sweet, sour, and salty come together in this popular dish, also known as strange flavor chicken. Chunky peanut butter can be used in place of sesame paste. Eggplant and ground pork are stir-fried with chile paste and other seasonings in this spicy Szechuan recipe. For a vegetarian version, leave out the ground pork and increase the amount of eggplant.